When building a new application or microservice on AWS, there are several options for handling load balancing in front of the application. In this article, I’ll explain and compare two of the most common and robust options: The built-in AWS Elastic Load Balancer (ELB) or more commonly known as AWS ELB and NGINX’s load balancer. See how Sumo Logic helps analyze raw AWS ELB data and get started with a free trial today. When it comes to choices, choosing your load balancing option may not seem like an important choice, or even be that exciting to some. And it’s true that in most cases, either ELB or NGINX will work. But there are important differences between them, and the decision you make for handling load balancing will set the tone for other infrastructure decisions going forward. It shapes the architecture of your apps and your deployment patterns. That’s why it’s worth taking time to evaluate both options before committing to one. 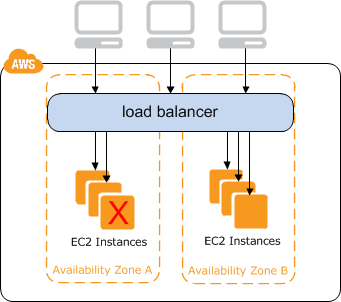 What is AWS Elastic Load Balancing? source: AWS What is a Classic Load Balancer. These are the minimum costs associated with ELB in a highly available configuration that handles one connection per minute with two kilobytes of data transfer on AWS. These are the minimum costs associated with NGINX in a highly available configuration that handles one connection per minute with two kilobytes of data transfer on AWS. 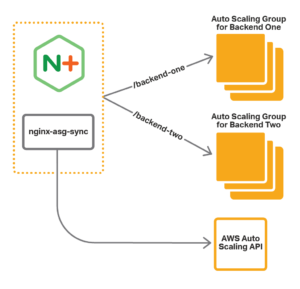 The software is free, unless you chose to buy NGINX Plus, which starts at $2,500 USD per instance, but it handles high availability deployments seamlessly in addition to commercial support with service level agreements. Two t1.micro instances sharing an Elastic IP ($0.012 per hour each) plus the data transfer (as much as $0.09 per GB) would cost $18.11 USD per month. It’s worth noting that although this article compares the two products, in reality, they are often used together. For example, in many stacks, ELB handles public-facing IPs and SSL termination, and balances traffic between multiple NGINX nodes across availability zones, while the NGINX servers handle caching and passing traffic to the actual application/service layer via fpm or as a reverse proxy—so you don’t necessarily need to think of ELB and NGINX as an either-or choice. You may best be served by using both. When singling one out, either ELB or NGINX are reasonable options, and the costs of each are similar when starting out. The main differentiator comes down to selecting whether you want to control the full stack, right down to the operating system, and take advantage of extra features like caching without adding more layers to the application. In that case, NGINX will be a better choice. Alternatively, if you want to simplify how much infrastructure you need to build and maintain by leveraging features that are built into AWS, ELB is your solution.